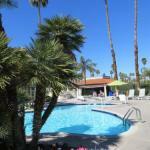 Palm Springs is well known for its beauty and the city upholds its prestige by keeping it beautifully maintained. 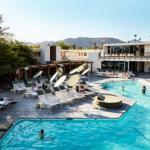 There are many ways one can get pampered in Palm Springs. Spend the day at a lavish spa or play a round, or two, of golf. If you'd like, you could shop at one of its many stores, go horseback riding or enjoy a game of tennis. There are also many popular attractions that you could visit. For example, the Aerial Tramway, Oasis Water Resort, Moorten Botanical Gardens, and the spectacular Indian canyons. 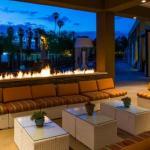 However you'd like to spend your time, you'll enjoy everything Palm Springs has to offer.